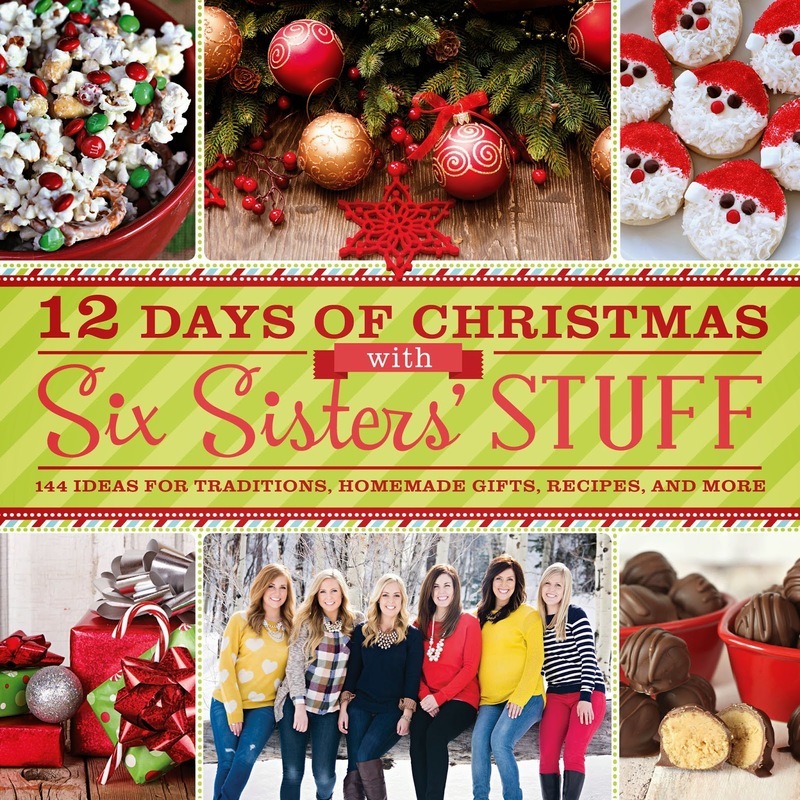 The Six Sisters have released their 3rd book, 12 Days of Christmas with Six Sisters' Stuff. Like their other books, you not only get recipes, but you get other fun stuff too. There are 12 different sections in this book and each section is in sets of 12, like 12 Homemade Christmas Gifts, 12 DIY Christmas Decorations (I love the Candy Cane Frame and I totally want to make it), 12 Spectacular Christmas Treats, 12 Christmas Cookies and more. If you would like to read about their first book, click HERE or their 2nd book, click HERE. A lot of the treat recipes are not your typical, same-old, Christmas Recipes. They have new fun and delicious treats that you and your neighbors are sure to love! Like . . . Mini Turtle Cheesecakes, Almond Joy Bars, Frosted Toffee Cookies and Chocolate Orange Cookies, which sound amazing by the way, because I love Chocolate Oranges and Orange Sticks. I wanted to make one of the yummy recipes and I was trying to decide between the Nutella Banana Bread or their Eggnog Cookies. October seemed a little early to have eggnog in stores, but surprisingly they already had it. But . . . at almost $5, I decided to pass until closer to Christmas. I ended up making their Baby Ruth Bars. I had everything on hand, except for the peanuts and I realize that peanuts are a big part of an actual Baby Ruth Bar, but I left them out. These Baby Ruth Bars are so chewy and delicious. I think the extra 1/2 cup of chocolate that is drizzled over the top is optional. They were plenty delicious without that, but if you want to dress them up a bit, the chocolate drizzle is a good idea. No Bake treats are always a winner in my book. You can purchase 12 Days of Christmas HERE. Grease a 9x13-inch pan with non-stick cooking spray; set aside. 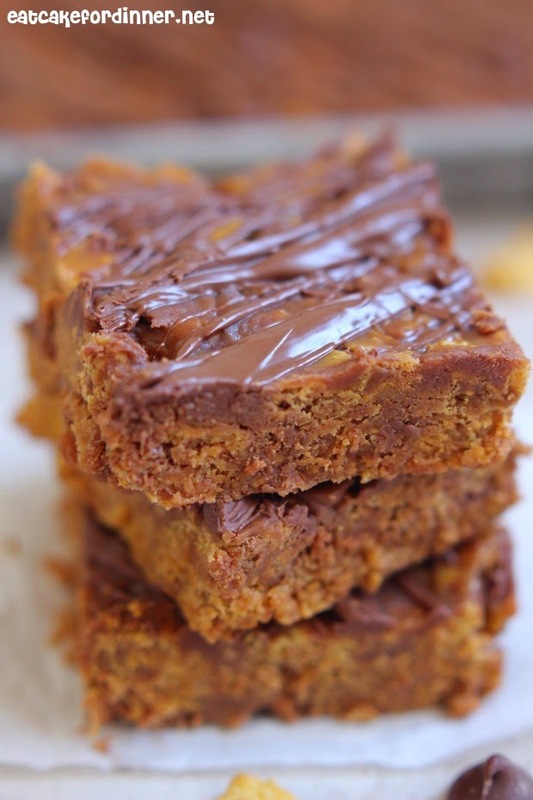 In a large saucepan over medium heat, combine corn syrup, peanut butter, sugar and brown sugar. Stir until smooth and heat until sugar is dissolved. Mixture will start to bubble. Remove from heat and add cornflakes and 1 cup of milk chocolate chips and stir until cornflakes are completely coated. Press mixture into the greased baking pan and let cool. When bars are set, melt the remaining 1/2 cup of chocolate chips and drizzle over the bars. Let the chocolate set before serving. Makes 16 bars. The publisher provided me with a copy of this cookbook for the purpose of this review, but all opinions expressed herein are my own. Giveaway is offered by the publisher and will be shipped by the publisher. 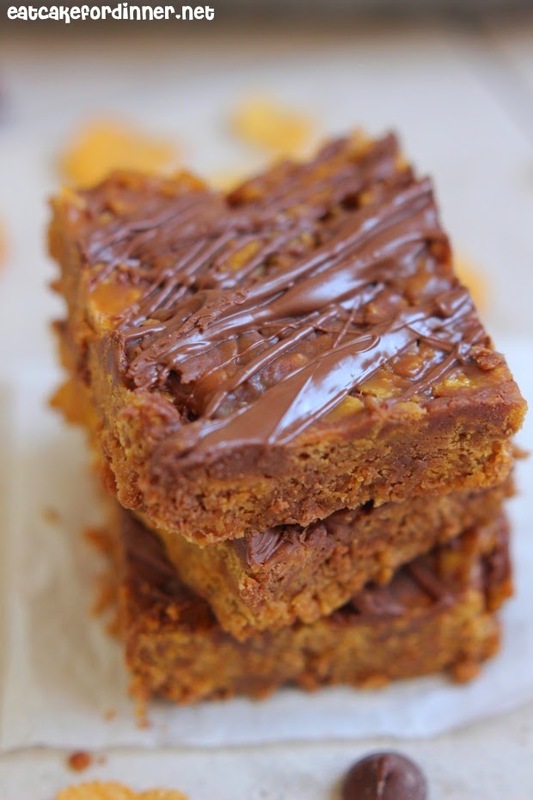 Oh my goodness but don't those Baby Ruth bars look delicious!!!!! I'm always looking for great holiday recipes to take up to the Fire Station (love to spoil those guys [and gal]) ... thanks for the chance. That is so sweet of you to take them treats!! Sweet! Thanks for a chance to win! Pinning! !